On Oct 1, 2015 CMS began requiring hospitals to report their data on how they meet certain metrics for patients with “severe sepsis” via Sepsis Bundle Project v 5.0a. As with everything CMS, the details are things we need to know. The reality is that these definitions are here, so rather than debate whether the metrics and definitions make sense (particularly in light of newer sepsis data), this post provides the definitions OUR coders are currently looking for to see if a patient should be included in the reporting data, so we can adjust our practice accordingly. 3. Severe Sepsis: SIRS plus evidence of organ failure. This is an area where I think the definition may be escaping us, because lots of these things are things that are less immediately clinically relevant, but make semi-sick folks meet the definition of severe sepsis. *** If your patient chronically has a creatinine of 1.9, and comes in at 2.1, YES, they will qualify for severe sepsis, UNLESS you document in your note that this is essentially unchanged from prior values. Remember our coders can’t make decision on what is “clinically significant” – you have to tell them whether it is. The three Hour bundle are things that need to be completed within 3 hours from the TIME SIRS is recognized (Usually the time of first vital signs). a. BOLUS of 30 cc/kg if SBP <90 OR Lactate >4.0 (regardless of history of renal failure, CHF, etc…) Remember, you think these folks are septic, not fluid overloaded, etc as a cause of their vital sign abnormalites. So this post is not about new data, but a new way of practicing emergency medicine. Our EMS system will be switching from using Succinylcholine (SUX) to using Rocuronium (ROC) on selected intubated patients next month. Below is the data behind the decision, which might make you reconsider using ROC preferentially for intubations, but at least should make you more comfortable with others using it. Practice Changer: I will be using ROC at 1.2mg/kg in my ED patients who do NOT require repeat neurological examination. It has no contraindications, is equally effective to SUX, and will give me LONGER SAFE APNEIC TIME to secure the airway. I will order a sedative medication up front with ROC. The big advantage cited for SUX is: “With the shorter duration of action, should you encounter a cannot intubate, cannot ventilate situation, most patients will begin breathing spontaneously and you avoid the need for a surgical airway This chart from Anesthesia 2010 shows that this assertion is WRONG. While this may be true in a healthy OR population, it is NOT the case with ED patients. Looking at the curves above, your patients will have coded WELL before SUX wears off if you can not ventilate them in some manner. However, if you ARE able to ventilate your patient, and your SUX does wear off, you still have a patient with an unsecured airway who is moving, rather than a paralyzed patient in whom you can attempt other airway maneuvers. My Conclusion: The shorter duration of action of SUX is not an advantage in the ED. Study: Randomized trial of ROC and SUX in a controlled operating room setting. THAT IS AN EXTRA 2 MINUTES of APNEIC TIME! 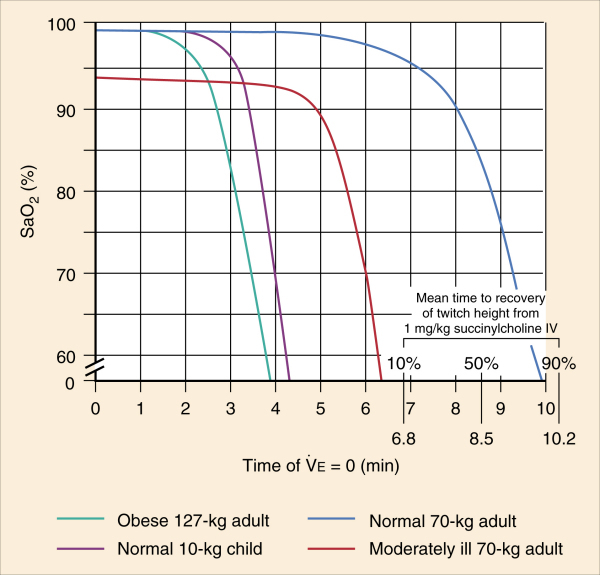 Desaturation following rapid sequence induction using succinylcholine vs. rocuronium in overweight patients. Intervention: Patients intubated in OR with midazolam, fentanyl, propofol, and either SUCCINYLCHOLINE 1.5 mg/kg or ROCURONIUM 0.9 mg/kg. My Conclusions: SUX had a more rapid desaturation than ROC in SLIGHTLY overweight patients. (BMI of 30 is relatively fit in my ED population). At a dose of 1.2 mg/kg ROC there is essentially no difference to time of onset or intubating conditions, or intubation success compared with SUX. 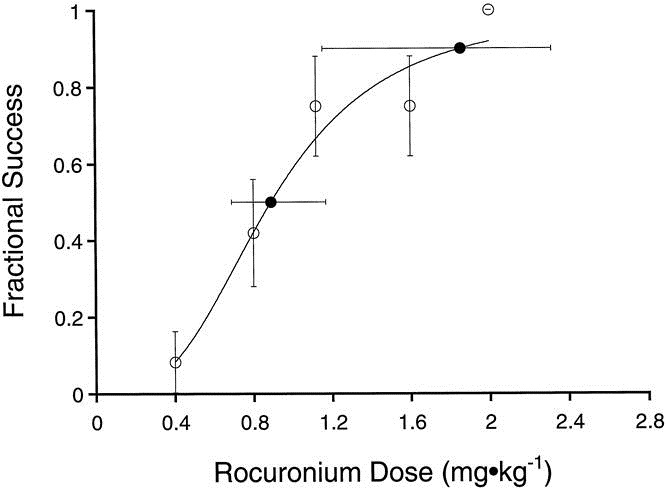 Rapid tracheal intubation with large-dose rocuronium: a probability-based approach. Intervention: 0.4 – 2.0 mg/kg ROC pushed and they looked at intubation conditions 40 seconds later. Success was determined by being able to pass an ETT within 30 seconds. Conclusions: Higher doses of ROC achieve ideal intubations essentially as fast as SUX. 1.2mg/kg seems like an idea dose. Comparison: All RSI was performed with Etomidate. No difference in intubating conditions or success rates. 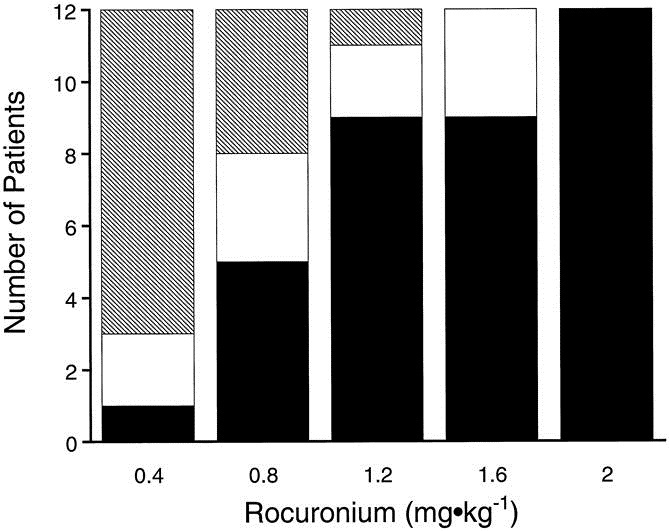 Average doses of Rocuronium at 1.19mg/kg and Sux at 1.65 mg/kg. 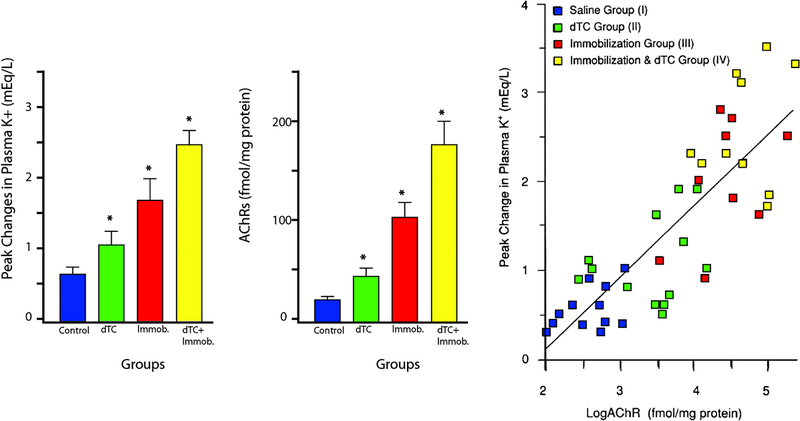 Conclusions: Appropriate (high) dosing of paralytics provide equivalent intubating conditions. 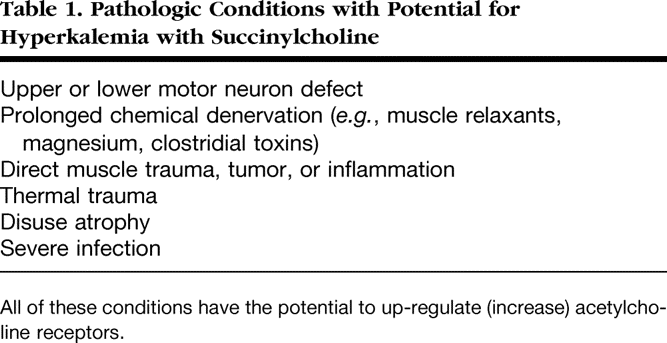 SUX: has a list of uncommon contraindications, primarily having to do with preexisting and inducible hyperkalemia (Anesthesia 2006). 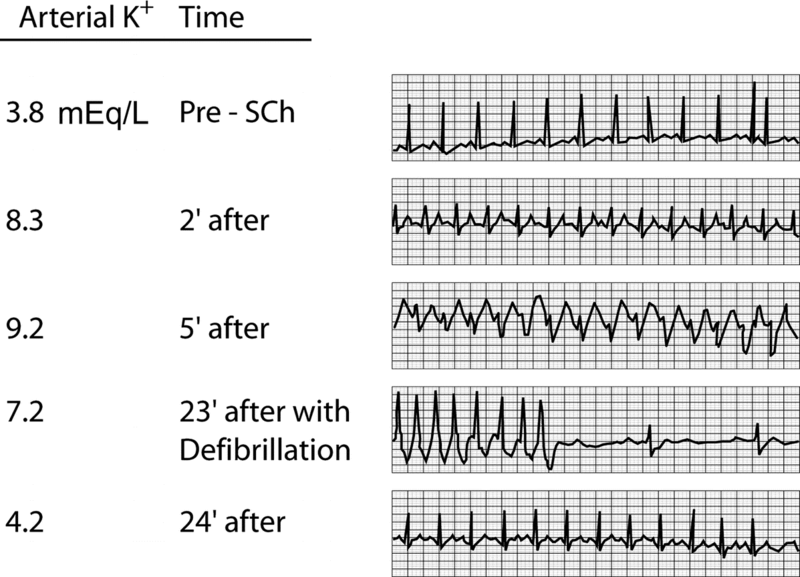 Even starting with a normal K, you can have significant K release resulting in arrhythmia. My Conclusions: In an emergent setting where obtaining a history is not always possible, and with the population we serve with one of the highest rates of dialysis in the country, the possibility of encountering a patient with a contraindication is relatively higher than in most places. My Conclusions: You lose the cues for sedation you are used to with SUX when you use ROC. Patients are awake but can’t respond. If you are going to use ROC, MAKE SURE SEDATION IS INTEGRATED AS PART OF YOUR PROTOCOL, so you don’t forget to use it. Our recently adopted HEART score has a new twist, the HEART Pathway, that may be perfect for US ED use. While our cardiology colleagues may have fewer chest pain consults, the new AHA guidelines for out of hospital arrest should make sure they don’t get too bored! See below for the updates! Practice Change: After an ECG, ABG, and beside electrolytes all comatose post-arrest patients with ROSC should be discussed with the cardiologist for emergency PCI – up to 25% may benefit. 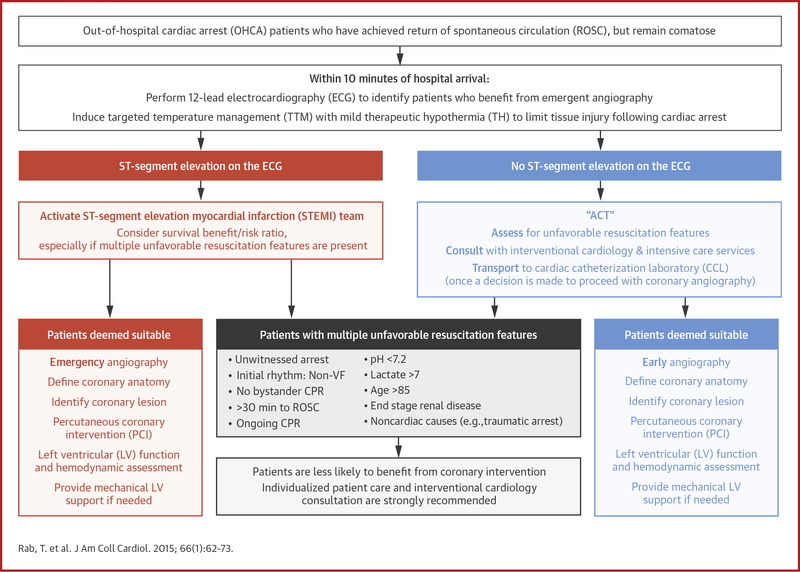 The JACC published new guidelines for cardiac arrest patients. Essentially it suggests you should consider treating all comatose arrest patients (both with and without STEMI on ECG) with PCI. The data they present suggest that about 25% of patients with ROSC, but without STEMI on ECG, will have an occluded culprit vessel that can be opened with PCI. 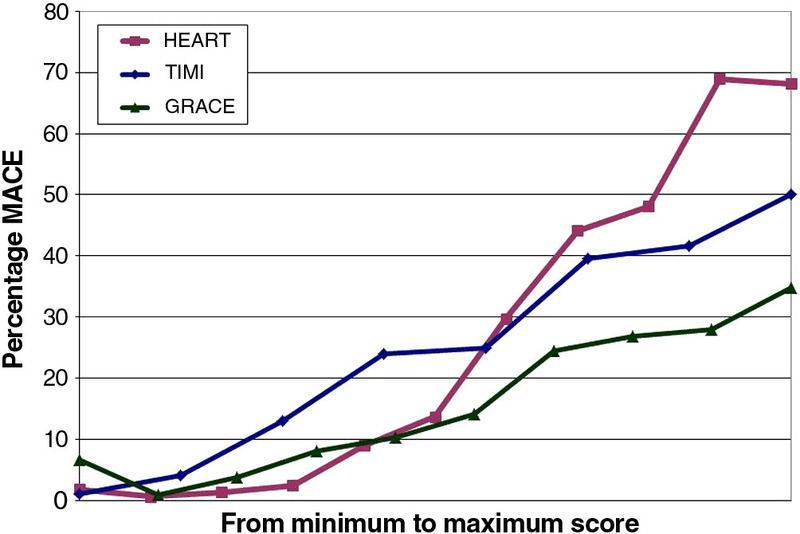 While they do try to differentiate between NSTEMI and STEMI patients, you’ll notice that other than one side being red and the other blue, the algorithms are identical. ED physicians will have to evaluate for poor prognostic signs in the ED, but as the cut off is “multiple unfavorable resuscitation features,” it sounds like this decision will be in the cardiologist’s court. EM ONE – July Update – Shhhh… the baby’s sleeping! To Clot or NOT to Clot?